VISION MAVRIDAKIS represents the company ITC AUDIO and REXTAR. The company’s range of products can cover the needs of each project. From a small project such as churches, shops and offices, a medium like hotels, supermarkets, train or bus stations, or a large one such as supermarkets and cruise ships, to a very large such as stadiums, parks, etc. We also have Panasonic and BenQ projection and presentation systems. Projectors, screens and Panaboard are covered by project needs such as conference centers, seminar rooms, schools, universities, etc. We have PA audio amplifiers and announcement systems for hotels, offices, schools, churches, stages, industries and outdoor spaces. The range of amplifiers includes end amplifiers, amplifier mixers and audio amplifiers for conference rooms. PA (PUBLIC ADDRESS) amplifiers are known for their reliability and their ability to be used without interruption for long periods of time. They can transfer sound over long distances and a large number of speakers. Their power depends on the number and power of the speakers they amplify. PA audio amplifiers provide excellent sound quality, trouble-free operation and are ideal for announcement and playback of background music. We have a full range of outdoor speakers for PA systems such as wall speakers, garden speakers, sound systems, sound horns, waterproofing. 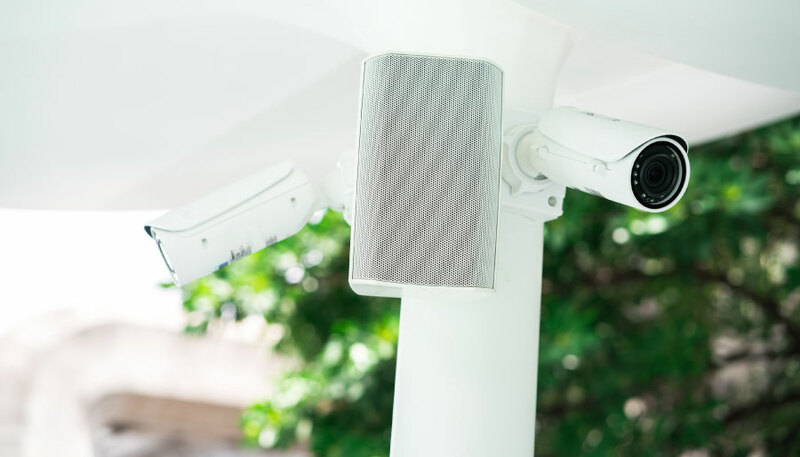 Outdoor positioning speakers are ideal for commercial audio applications such as announcement systems or background music. These speakers are available for 70 V, 100 V, and 8 Ohm options in various Power Extensions (WATT). They have an attractive appearance, reliable performance and durable construction. The speakers with waterproof or metallic construction are ideal for indoor and outdoor use. They are designed to operate under difficult conditions. They combine exceptional aesthetic design, technology for the best possible sound quality and weather resistance. 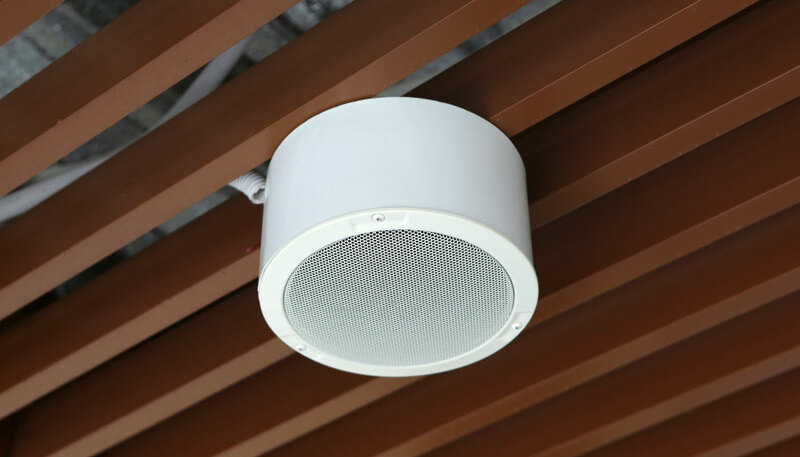 We have all the range of ceiling speakers for PA sound systems, such as recessed, with external base, fireproof, hanging, round oval, spherical or square, waterproof and more. The ceiling speakers are ideal for commercial audio applications such as announcement systems or background music. These speakers are available for 70 V, 100 V, and 8 Ohm options in various Power Extensions (WATT). They have an attractive appearance, reliable performance and durable construction. The speakers with waterproof or metallic construction are ideal for indoor and outdoor use. 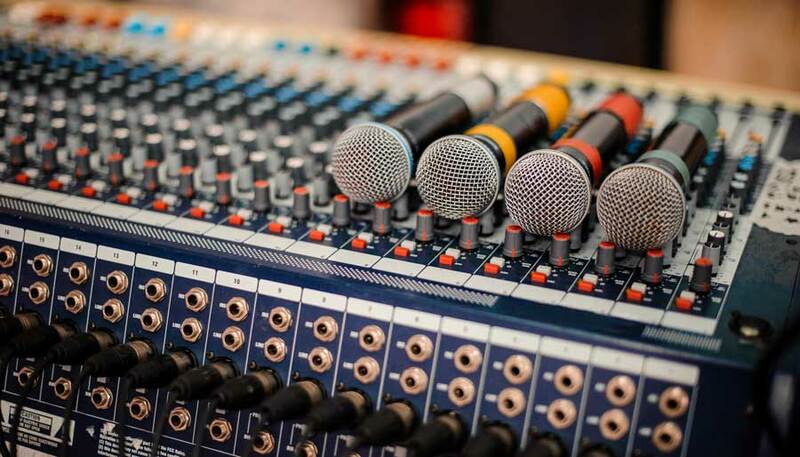 We have a full range of accessories for PA sound systems such as volume controllers, mounting materials, wall boxes, distributors, consoles, wireless and wired microphones. Accessories for PA audio systems are required for multi-zone, multi-zone, post-zone applications. They improve the performance and reliability of systems and help users. 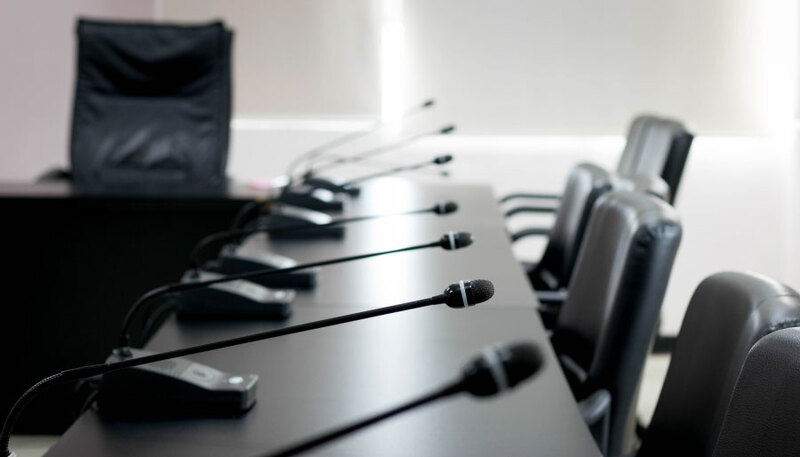 We have powerful, expanding and flexible conference system systems that are wireless or wired and offer recording, voting, simultaneous interpretation, teleconferencing and more. 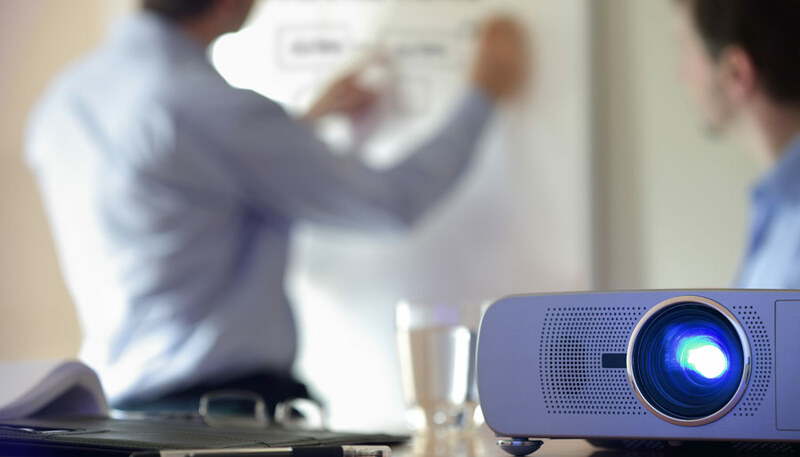 Conference systems are designed to correspond and meet the needs of a small business up to any group, organization or company. 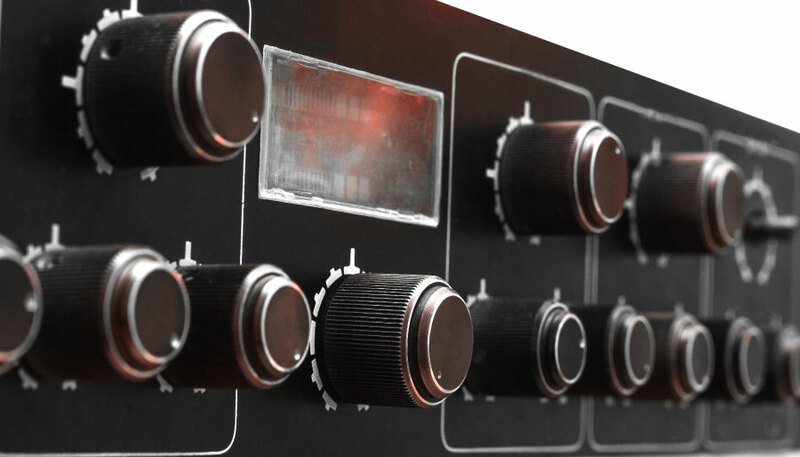 Reliable IKUSI products, built into a system according to the customer’s needs and according to the expertise of our specialized technicians, constitute a system for the transfer and distribution of audio and video. The audio and video transfer and distribution system collects and manages all video and audio functions such as terrestrial and satellite TV, audio from any source (AUDIO CD, DVD, USB STICK, PC, etc. ), promotional messages for activities, events etc. of the hotel. So the audio and video are available anywhere there is a TV, monitor or speaker. 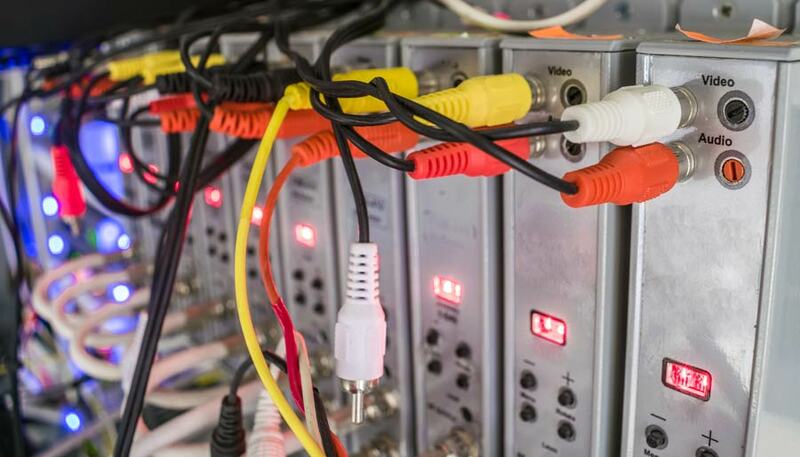 The system requires fewer cables, because they are all distributed by one cable and at all points all the programs are reached. It is also used the same equipment (screens, TVs and speakers) for all the functions associated with audio and video. This saves money for the hotel owner due to the lower cost of wiring and the use of less equipment and offers comfort to the guest. The sound system for hotel rooms bathrooms is also part of the above system and works as follows: When the hotel customer watches a TV program or enjoys his favorite music in his room, thanks to the use of the system, he is given the opportunity not to interrupt the hearing if he needs to be in the bathroom of the room. We have a full range of PROJECTORS that are imported to Greece by the official PANASONIC and BENQ. We also have all the variety of accessories for image viewing such as bases, screens, etc. The wide variety of projectors can cover from concert and conference rooms to classrooms. Panasonic has been a leader in image viewing solutions for over 35 years, creating cutting-edge technology and sharing know-how. Projectors are designed to impress. All projectors are designed at the factory in Osaka, Japan. The installation is certified according to ISO 9001 and ISO 14001 standards – the internationally recognized standards of quality and environmental management – ensuring overall quality control. Through innovation and continuous improvement, Panasonic has patented a technology that offers the highest quality in the world at high brightness. A range of features make Panasonic’s projectors the ideal choice either as a first installation or as a replacement for old. Projectors with built-in Blending Edge and Geometric Adjustment functions let you view at too large or curved screens. Along with quality comes reliability. Whether it is a theater, classroom or conference room, every Panasonic projector can provide the perfect solution. Laser projectors are designed to have no real maintenance need. All projectors are continuously and rigorously tested under the toughest conditions to ensure reliability and durability, including dust resistance tests, lifetime tests, drop tests, seismic tests and tests in a number of extreme environmental conditions. All new projectors are compatible with the old lenses, which means easy replacement and lower cost. Panasonic offers a wide range of projectors with laser lighting. All laser projectors are designed to deliver large, bright and colorful images. The longer life, less failure, low noise and the lack of heat mean you can forget about maintenance. Whether it’s a high brightness projector for large space or a projector for small, limited space, we have a solution. 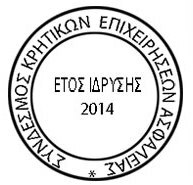 VISION MAVRIDAKIS technicians are specialized and attend all the necessary training seminars so that they are informed about the developments and can support every machine of the company. 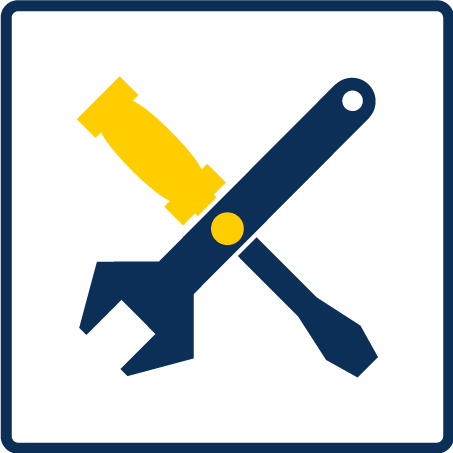 As the official partners of INTERTEK, VISION MAVRIDAKIS uses genuine spare parts and consumables to support and repair the machines to ensure their trouble-free and long-term operation.